You know that yummy sweet-savory buttery goodness that lines the layers of a cinnamon bun? Well, imagine that captured in a cupcake! Here, browned butter is incorporated into a pumpkin-sage cake, with browned butter icing on top. I’ve made the icing into a thicker consistency so that it holds form (for easier transport to Thanksgiving dinner). However, with the addition of more milk, this icing can drip off the edges of the cupcake for a nice gooey effect as well. I have been working on my chocolate tempering work, so these cupcakes are topped with a bit of white chocolate flair. 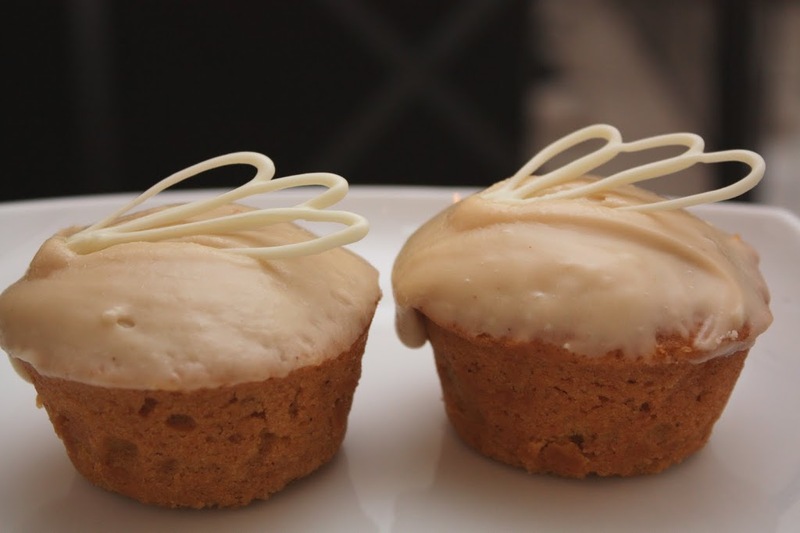 « Pumpkin Cupcakes – Happy Halloween!